Businesses today are persisting in a very competitive environment, where all players are bullishly working towards customer acquisition and retention, through unparalleled customer experience. Such customer experiences are being created by harnessing the power of technology and adopting customer oriented practices. Managing the overall experience of a customer with respect to a brand at different touch points, right from advertisement to lead generation to sales to customer service is being done by incorporating call management for small businesses. The retailer’s ecosystem deserves a special mention in this context as they are betting big on the Smart Call Management solutions to create a seamless customer experience. The Indian retail market is huge and effective retail management in today’s day is crucial for a brand’s success. Keeping pace with constantly evolving retail management strategies is important, when the whole ecosystem is trying to remain ahead of their competition. In a scenario like this, retailers today have resorted to Smart Call Management solutions, which improve the accessibility of their businesses. Integrating call management solutions help customers or prospects to connect with a brandeasier and better, while expressing their choices. Furthermore, cloud telephony also enables the existing customers to avail post-sales services and also assists those facing challenges with the purchased product. It helps the customers lodge complaints instantly and get prompt resolution for their problems. Augmenting the benefits for retailers, call management system can also be integrated with CRM, which adds to the efficiency of retail business. With this, the staff gets better access to the right information at the right time, which in return makes them more efficient and helps them serve the customer better. Such efficiency, is crucial is today fast paced era, as it has been proven that the demanding customers take no time to quit a vendor and switch to another, who can process their requests and resolve their issues faster. Cloud Telephony has a lot more to it than just customer service. To give a better perspective of things; with a growing business, also grows the volume of calls or queries. Countering this scenario, cloud telephony also facilitates IVR, automatic call distribution etc. Retailers conducting business on any platform be it online or off line are thriving on the benefits of these features to enrich their customer experience. These services also pose as the brand’s key differentiator that makes them stand out in the crowd. The retailers need to take of note of this, as it has already been established that a majority of the consumers do not hesitate to pay more for a product or a service in order to avail a good customer experience. In a nut shell, consumers’ embrace of digital technology is disrupting the retail industry in India. Creating seamless customer experience cannot be achieved by a retailer’s homegrown solution alone. 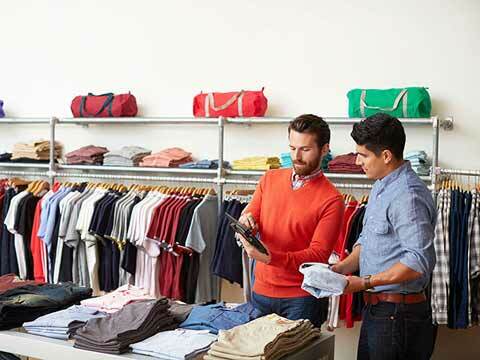 With the use of cloud telephony, retailers will be able to leapfrog technologically. This situation is analogous to the rapid adoption of cell phones in the country, which completely transformed the telecommunications industry in India.